Driving defensively puts your aging adult in a situation in which she’s far more able to avoid problems in the road ahead of her. If she’s not already using defensive driving techniques, some of these ideas can help her get back in that frame of mind. There are times that your elderly family member really should reconsider driving. Some of those might be when traffic is especially thick, like around rush hour, and others might involve weather of the time of day. For instance, twilight can be a difficult time for driving safely. But her own health and how she feels can also dictate when she should drive. Help your elderly family member to be aware of what’s going on around her vehicle. You can do this by using seat lifts and mirror extensions to help her to be aware. It’s also a good idea to remind her to pay attention to any lights, alarms, or indicators built into her car that let her know when there’s traffic near her car. If your elderly family member isn’t able to see outside and around the car easily, that’s going to severely impede her ability to drive. In addition to using mirror extensions and seat lifts, double check that she can see by running a test with her. Stand at various points around the car when it’s stationary and off. Have her indicate when she can see you. Another big part of making sure your elderly family member can see while she’s driving is to ensure that she gets hearing and vision tests regularly. Her doctor may be able to run these tests for your senior every few months or so. If her vision and her hearing are already a bit impaired, though, her doctor may prefer that she does these periodic tests with her eye doctor and an audiologist instead. It’s never too early to line up help with driving. 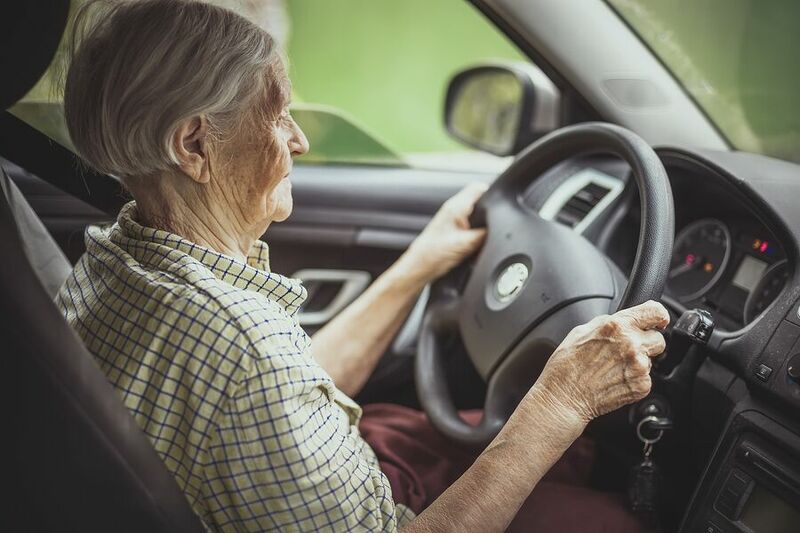 Your senior may find that some days are better than others for her when it comes to driving safely and if she’s got the option to let home care providers drive, that is giving her the chance to choose safety over anything else. It really is difficult to let other people do the driving, though, so be patient if she’s having trouble accepting this option. Driving can be a touchy subject for your aging family member. One thing you might want to suggest is to take a refresher defensive driving course. Lots of insurance companies and groups that help the aging offer these types of courses specifically for seniors. Your elderly family member might even get a discount on her car insurance after taking one. The staff at Home Care Matters is available to talk with you and your family about all of your needs. Home Care Matters is a home care agency providing quality and affordable Home Care Services in Lawrenceville, GA, and surrounding areas. Call (678) 828-2195 for more information.